Winn Dixie is a popular supermarket chain in the United States. It has been recognized as one of the most trusted food retailers in all of North America. Born as a joint endeavor by William Milton Davis and his sons, the company began as a small merchandise store in 1914 before eventually expanding to what it is today. 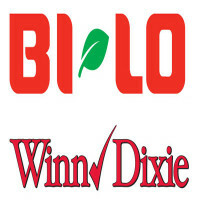 Currently, Winn Dixie is found in the states of Florida, Alabama, Mississippi, Georgia, and Louisiana. The company is currently operating approximately 500 branches in these five states. All employees are provided with a range of benefits. These benefits include flexible scheduling as well as discounts from the store. Full time workers are also assured of paid vacations, 401(k) retirement plans, medical insurance, and tuition reimbursement. Workers cite the friendly atmosphere in the company as well as the competitive salary and benefits package as reasons why they decide to stay with the company. An applicant must be at least 16 years old to qualify for a job. This requirement, however, is for entry level jobs. Managerial positions come with a higher age requirement and require more experience in the field. Most of the jobs offered have to do with customer service. Therefore, applicants are expected to have a positive demeanor and experience in customer service. Other skills that will positively impact your application include the ability to multitask and to perform manual labor easily. Cashier. Cashiers are generally in charge of all customer transactions. Likewise, they are responsible for the maintenance of their cashier stations as well as of customer satisfaction in respect to completing customer purchases. They are also responsible for resolving any relevant issue that customers may have. Bagger. Baggers are responsible for transferring purchased items into paper bags. This entry-level job requires applicants to be able to multitask and perform quickly, especially since this job is physically demanding. This job pays the minimum wage although those who apply for this job are prioritized in other job openings. Bakery Clerk. The bakery clerk is the person responsible for the maintenance and upkeep of the branch bakery. Those who wish to apply for this position need to have certain relevant skills in baking and pastries. Customer service skills are also required. Meat Clerk. Meat clerks take care of the deli section of the store. Anyone who wants to apply for this position needs to have knowledge of meat cuts and pricing. They must also have skills in cutting and judging meat product quality. Produce Clerk. Produce clerks are mainly assigned at the fruit and vegetable section of the store. They are responsible for answering customer questions about certain produce. As to be expected, those interested in this position need to have positive customer service skills. Customer Service Representative. These workers are tasked to roam the store as guides for customers. Applicants for this job must be positive and accommodating to customer needs and demands. They must also have skills in handling many different kinds of situations with customers. Pharmacist. Pharmacists are in charge of the medicine section of the store. Those who wish to apply for this position must be comfortable in multitasking as well as in handling customer questions and complaints. They must also exhibit attention to detail. Shift Manager. The work of the shift manager involves organizing employee schedules in order to ensure that a sufficient number of workers are present in the store. Those who are applying for this position must know how to multitask and should have strong leadership skills. Assistant Manager. Assistant managers are responsible for training new employees and helping the general manager in maintaining the store as a whole. Although this job position is not usually outsourced, openings will require applicants to have experience in customer service and training. General Manager. The general manager is responsible for the upkeep of the entire store. They are responsible for maintaining communication with the company headquarters, ensuring that the store is functioning properly. It is also among the general manager’s duties to ensure that profit targets are reached. Winn Dixie offers both walk in and online applications to aspiring workers. However, they prefer online applications over walk-ins since it is much easier for them to process online applications. The company provides an online application system. Applicants are encouraged to file an online application first before presenting themselves to the store nearest their location. When filling out the application form, ensure that you are providing honest and accurate information about yourself. Be very particular with numbers and dates as any mistake may harm your application. You will also be asked to submit a resume. When creating your resume, make sure that you highlight any customer service related experiences you may have. Show your potential managers that you are skilled in dealing with customers. The interview process will require you to know a bit about the company, so make sure to study before you go. Also, just like with the resume, do not forget to highlight your customer service experience, if you have any. Winn Dixie is known for its friendly and inviting atmosphere. Many people, both customers and employees, have commented on how the culture at the company helps people grow. In 2010, Winn Dixie was announced as one of the top 75 North American Retailers by Supermarket News. Furthermore, it has also been ranked as one of the biggest retailers based in the United States. Offering many different kinds of products and services, the company advertises itself as the ultimate supermarket. Also, the company is also known for its own branded soft drinks produced in more than 20 flavors, including decaf and diet versions. The company actually is known to be extremely charitable. It has given contributions to organizations like the Boy Scouts of America and the National Football League. Furthermore, it has also helped provide tuition assistance to some of its employees. 1 How old do you have to be to work at Winn Dixie?